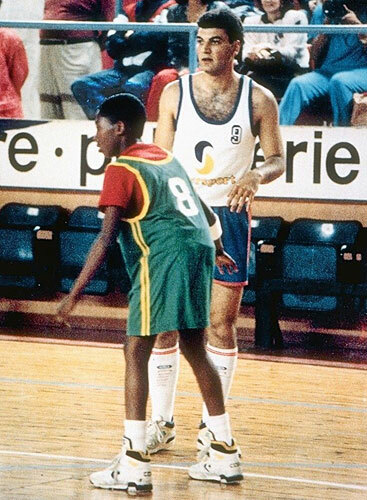 Earlier, Andy Gray posted this photo of Kobe Bryant “at age 11 guarding a large Italian man during a exhibition game in Italy.” 11 year old Kobe puts this photo in 1989, I think. When I looked at his shoes, it immediately made me think of this ad campaign released in 1986. 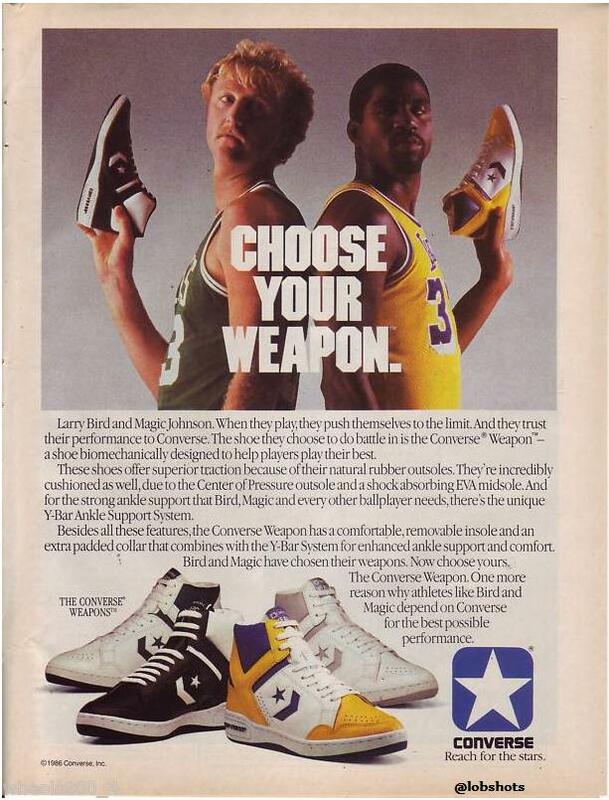 I know I had the Magic’s. I loved them. Such a rad poster. I miss that era of the NBA so much. Less thugs, with more awesome. 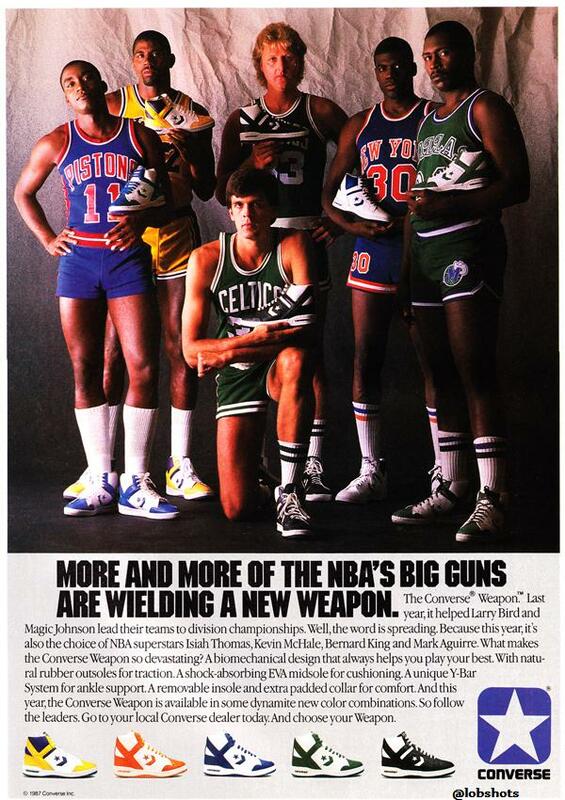 This poster ad is from 1987 and it’s got other NBA stars who joined the Converse Weapon team. In addition to original endorsers Larry Bird and Magic Johnson, you see Isiah Thomas, Kevin McHale, Bernard King and Mark Aguirre. Kobe’s Cons in the photo up top don’t look like they’re one of these exact Converse Weapons… but it was close enough to inspire me to take a trip down nostalgia lane. This entry was posted in Basketball, NBA and tagged basketball shoes, Converse, converse choose your weapon, converse weapons, kobe converse. Bookmark the permalink.